Remember how I promised you a ToyLanta photo essay every day this week last Friday? Well, a combination of technical glitches here at the Gazette-Mail and power glitches at Stately Radio Free Charleston Manor have caused a bevy of delays. For the sake of pleasing our new blogger interface overlords, all photo essays will now be kept under 15 photos. It’s annoying, but it’s the only way to keep them from disappearing from PopCult. So today we’re going to make up for lost time. 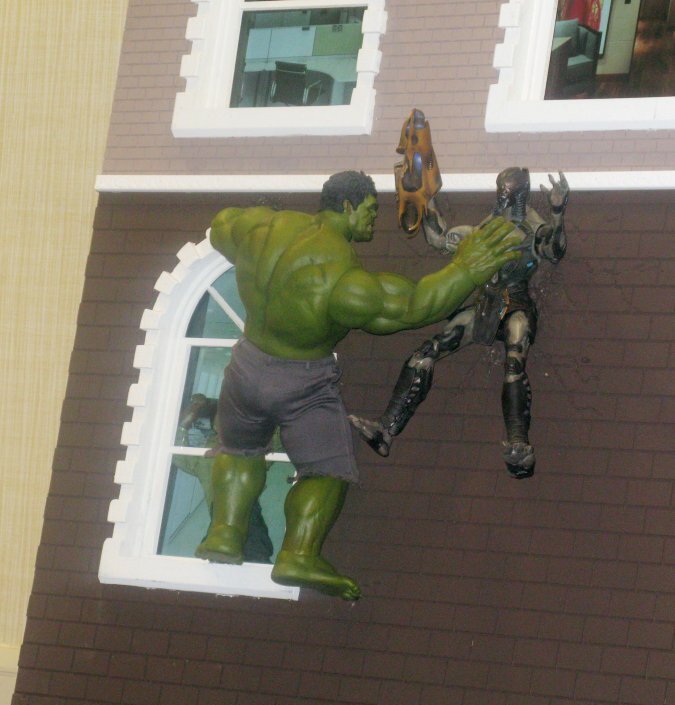 This is the first of three photo essays that will look at Mike Gardner’s awesome Avengers Assemble diorama, which took up one end of the custom figures and diorama room at ToyLanta. We’re going to see the work in progress and then look at close ups of the finished product. 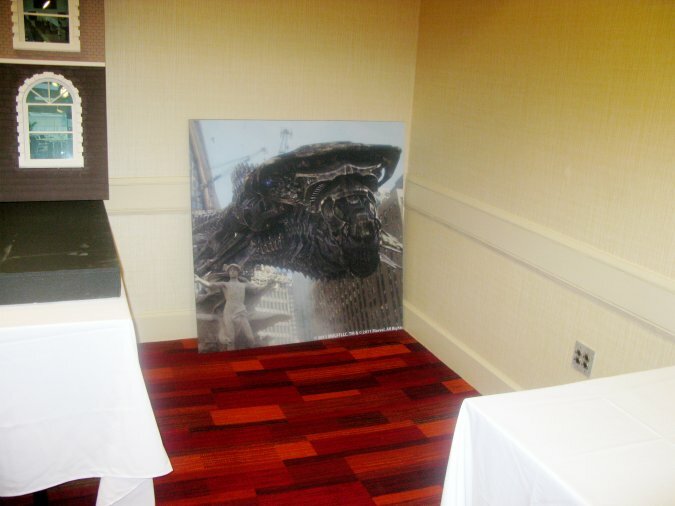 That’s Mike at the head of this post in a photo taken from within another of his dioramas..
Mike built his diorama using the very-expensive Hot Toys Marvel Cinematic Universe figures, which look photo-realistic. He also snuck in some Sideshow Collectible figures and figures from other lines as well as some custom figures that he created for previous dioramas.There’s more than five-thousand dollars worth of action figures on display here. One of the fun parts of building dioramas on this scale is the creative repurposing of elements of previous dioramas. 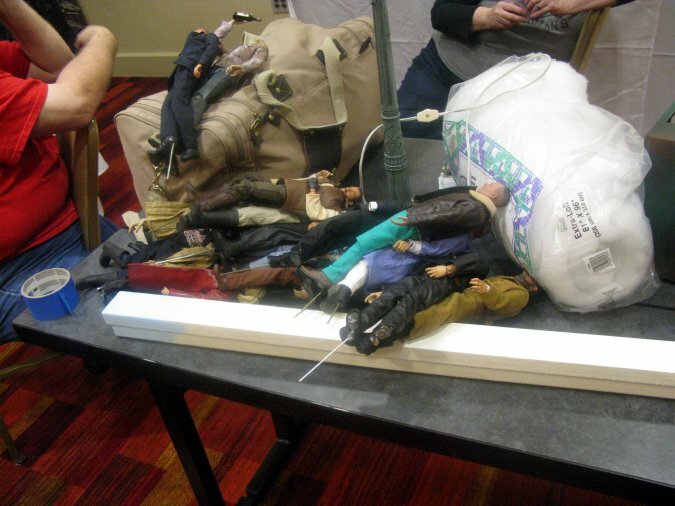 In this diorama you may notice of a couple of figures and at least one vehicle from Mike’s incredible “Yellow Jacket Creek” Walking Dead diorama from a few years ago. Newly-created elements include the building facade, made of industrial foamboard, which required more than three hours on a router, just to create the brick work. 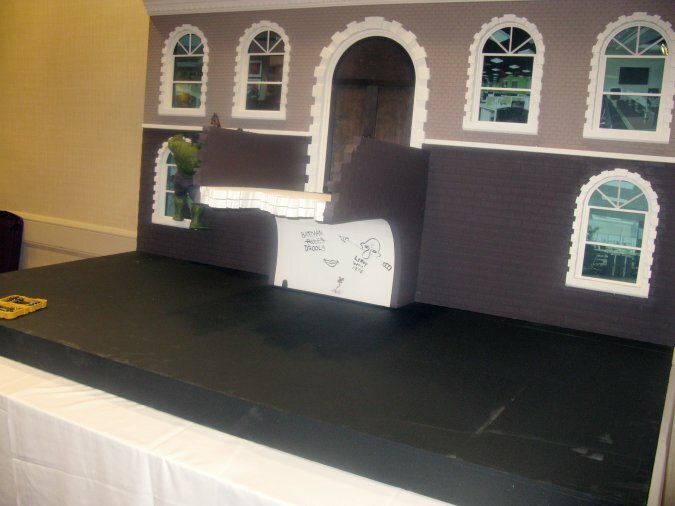 Much of the scenery and props were scratch-built. 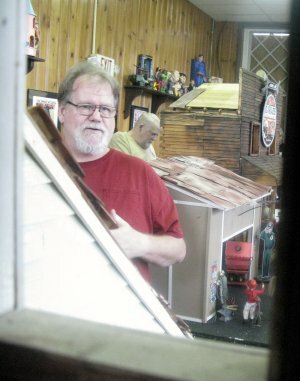 A video that shows more of Mike working on this diorama is forthcoming, as soon as the power stops flickering off ever few minutes here in Dunbar. 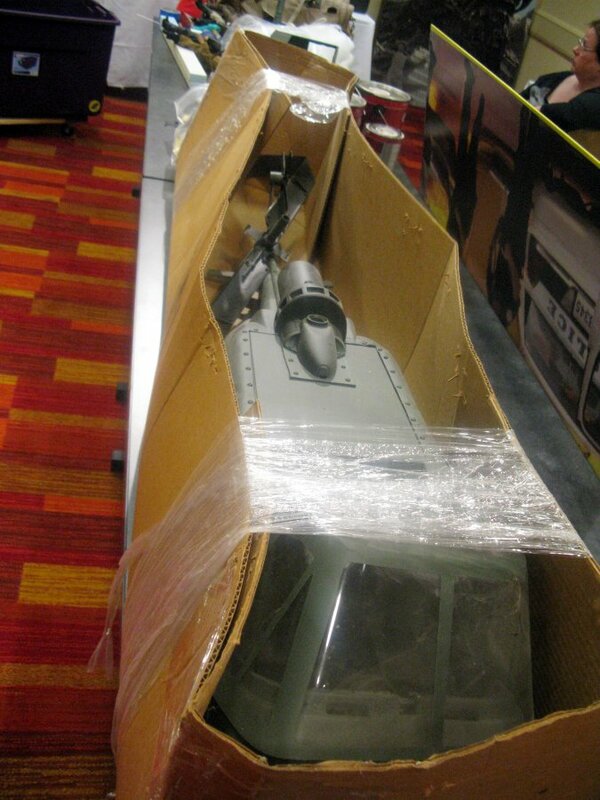 In the meantime, check out part one of Assembling Avengers. 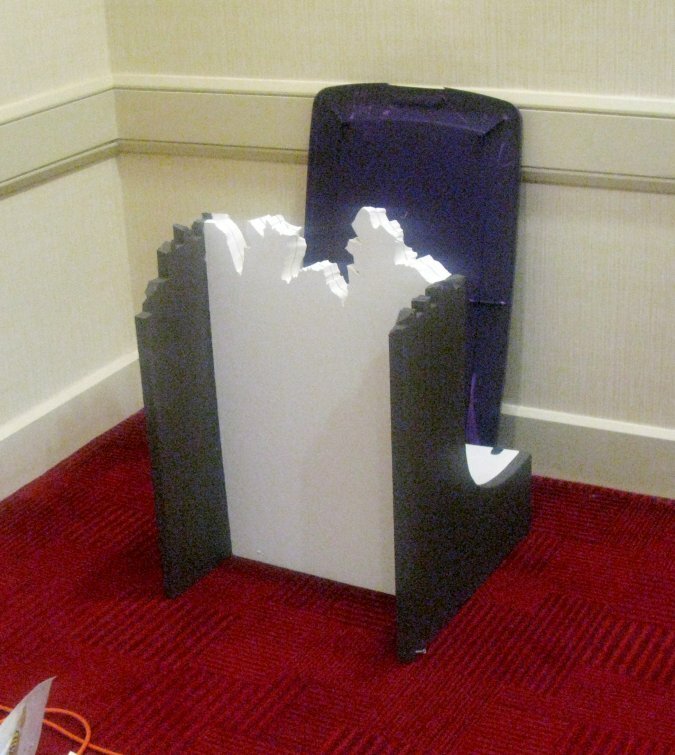 The centerpiece was the section of a building, scratch-built by Mike out of foamboard. The crashed helicopter was borrowed from another dioramist. Preparing for assembly, one table covered with figures, tools and materials. 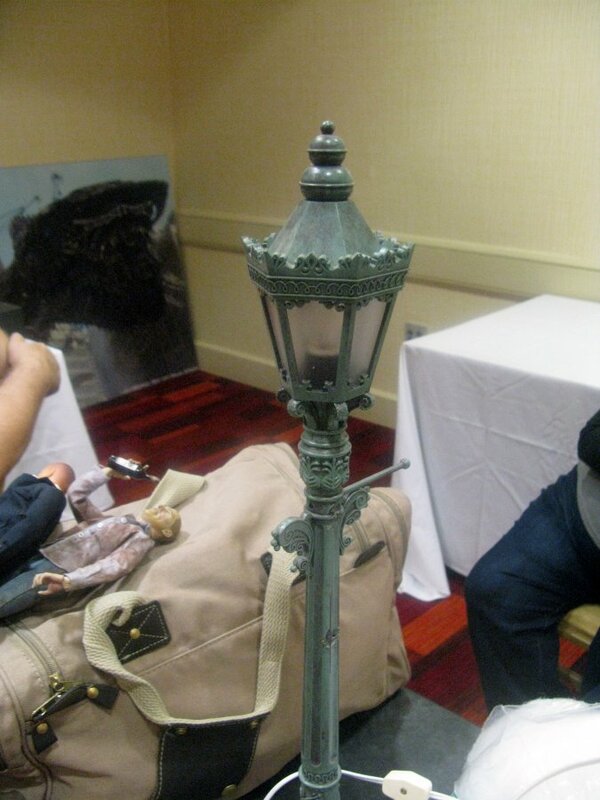 This decorative lamp just happened to be the perfect scale to be a streetlight in this diorama. 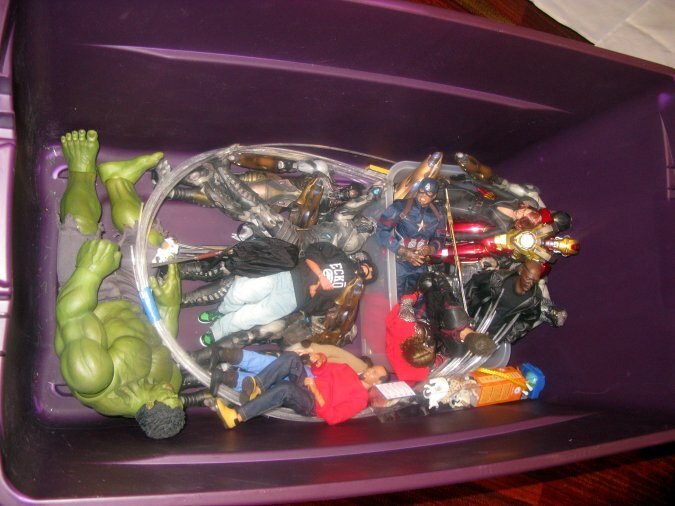 A tub filled with thousands of dollars worth of action figures. 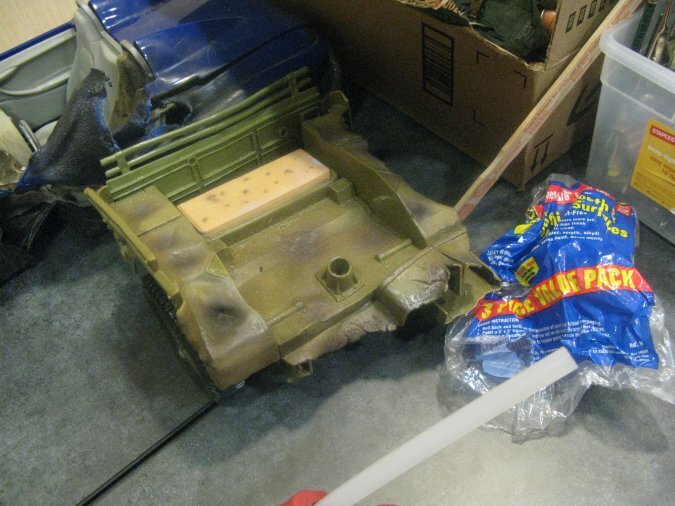 Another background piece, part of a destroyed military Jeep. Another key piece of the diorama, the semi-destroyed bridge. One of the photographic side-backdrops. The pedestrian bridge in place. Check back for part two, as more of the diorama comes together.